In the space of four days, Harvey Weinstein went from being one of the most powerful men in Hollywood to taking a leave of absence and then to losing his job, following allegations of sexual harassment or unwanted physical contact from several women over nearly three decades. 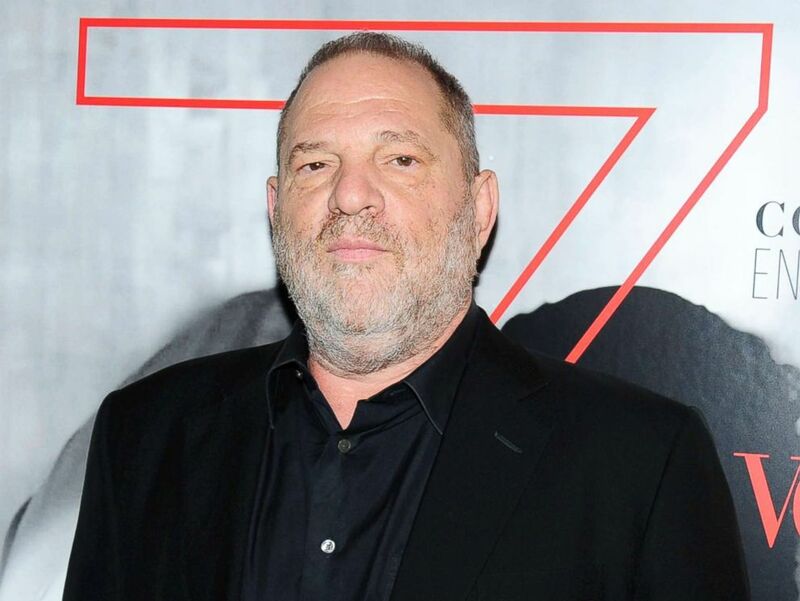 Add Harvey Weinstein as an interest to stay up to date on the latest Harvey Weinstein news, video, and analysis from ABC News. "In light of new information about misconduct by Harvey Weinstein that has emerged in the past few days, the directors of The Weinstein Company ... have determined, and have informed Harvey Weinstein, that his employment with The Weinstein Company is terminated, effective immediately," said a statement from the company's board of directors to ABC News on Sunday. Here's a look at the events over four days that unraveled the career of a movie mogul. That was the headline of an explosive story in The New York Times alleging that several women had over nearly three decades accused the co-founder of The Weinstein Co. of sexual harassment or unwanted physical contact. The Times also cited two anonymous company officials claiming that the famed studio executive reached at least eight settlements with accusers. Ashley Judd attends the APNE Aap dinner, Sept. 21, 2017, in New York City. Weinstein admitted wrongdoing in a statement to ABC News and revealed that he'd be taking a leave of absence. But he also fired back at the Times, with his attorney, Charles Harder, saying the newspaper story is "saturated with false and defamatory statements" and that he is preparing a lawsuit against the Times on Weinstein's behalf. That lawsuit has yet to be filed. A request for comment Monday on the status of the forthcoming lawsuit did not receive an immediate response. In the wake of the publication of the Times article, Weinstein's adviser Lisa Bloom released a statement on Twitter explaining her work with the studio executive, a role that appeared to be a sharp change from her previous work representing high-profile women such as Blac Chyna and Kathy Griffin. From late Thursday to early Friday, three members of the Weinstein Co. board -- Dirk Ziff, Marc Lasry and Tim Sarnoff -- resigned, according to the Times. Bloom said in an interview on "Good Morning America" on Friday that Weinstein is "genuinely remorseful." ABC News Chief Anchor George Stephanopoulos asked Bloom on "Good Morning America" if Weinstein did in fact sexually harass women. "I think Harvey has acknowledged that, yes, that there was misconduct over a period of years," she said. Bloom added that "the term 'sexual harassment' ... is a legal term," and said she is instead "using the term 'workplace misconduct.'" Of Weinstein, she said, "He has certainly a very bad temper, and that's a big part of the problem." "He's well known for that," Bloom said. "He's a big, loud guy. People are intimidated by him. I'm not. I'm a big-mouth lawyer myself. I'll stand up to him, but if I'm a 23-year-old in his workplace, of course, they're intimidated." Bloom said she was glad the women came forward and encouraged more to do the same. As the week came to a close, other alleged victims came forward. Just one day after Bloom appeared on "GMA," she announced she was stepping down as Weinstein's adviser. "I have resigned as an adviser to Harvey Weinstein," she said in a statement provided to ABC News and posted on Twitter. "My understanding is that Mr. Weinstein and his board are moving toward an agreement." 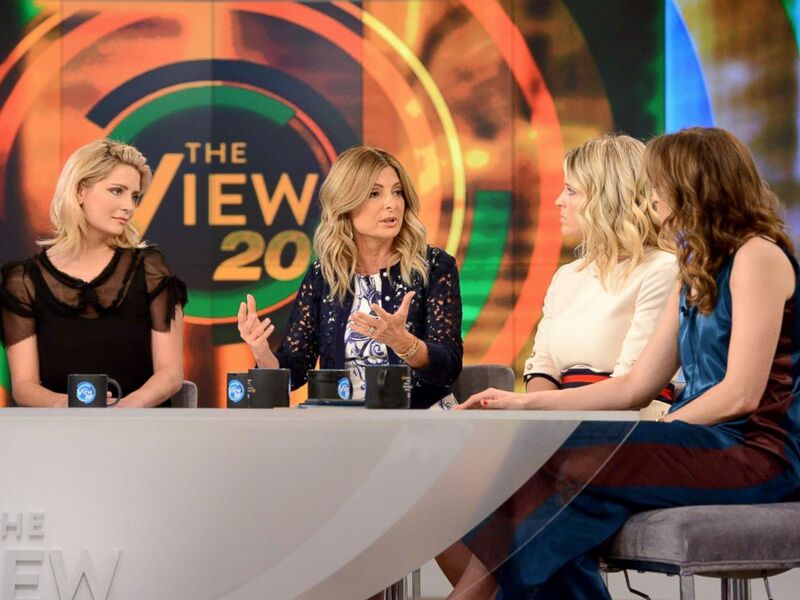 Lisa Bloom, center, on "The View," July 14, 2017. Bloom told ABC News on Saturday that she would not be elaborating on what kind of agreement she was referring to in her statement. Another lawyer, Lanny Davis, who had also been working with Weinstein, also revealed that he would no longer serve as the embattled executive's legal adviser. According to the Associated Press, Davis declined comment about his resignation. The weekend wrapped with Weinstein fired from the company that bears his name. Harvey Weinstein attends Brooks Brothers with The Cinema Society host the premiere of "House of Z" at Crosby Street Hotel, Sept.7, 2017, in New York City. ABC News' Nicole Pelletiere, Lesley Messer, Joi-Marie McKenzie and Dean Schabner contributed to this report.